Blog Quick Quotes: January Club Q with Alicia! January Club Q with Alicia! 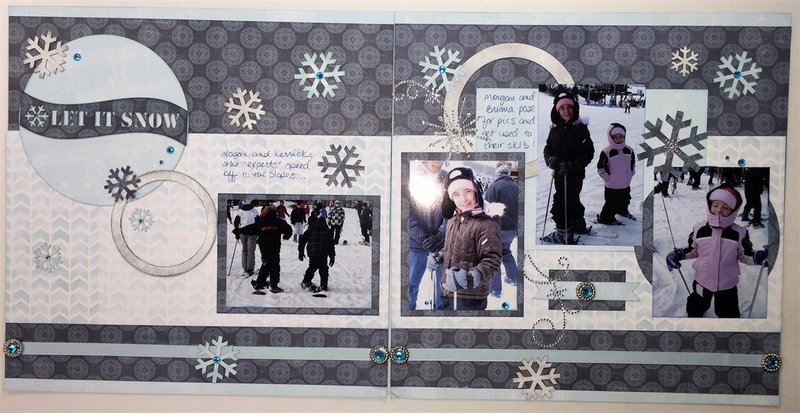 Alicia with you today showing off the kids skiing in this darling double page layout. This month's January Club Q has so much frosty goodness! I just love all the snowflakes, paper, chipboard and bling! I inked up some of the chipboard circles that were part of the altered kit with Coconut White PowderPuff Chalking Ink. I really like the "worn" look of the white on chipboard. 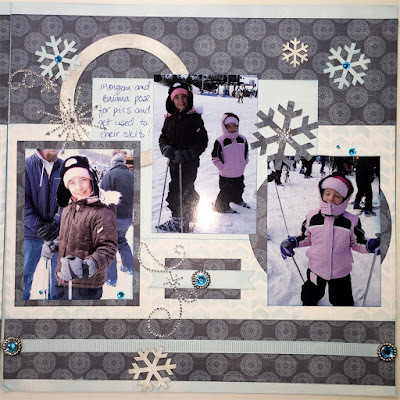 I also used Coconut White on the chipboard snowflakes. 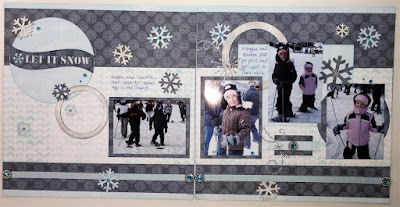 Here's page one with the boys running off to the slopes and dodging the camera. The girls did better, they posed for some pics before taking off to ski. 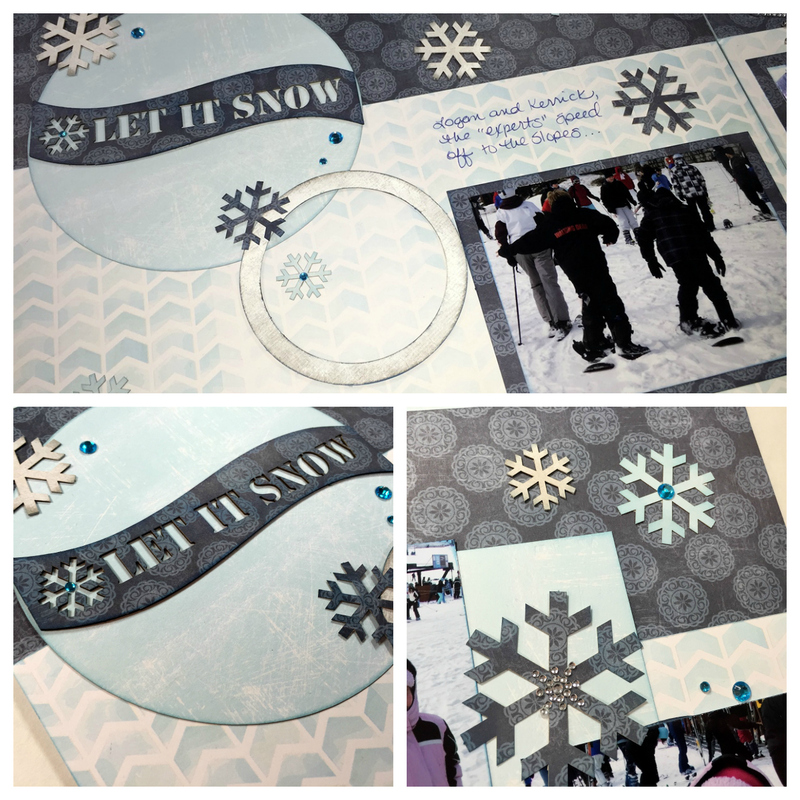 I don't ski, I hold down a family table in the lodge with the food and drinks and sometimes if I get enough space, I can scrapbook! 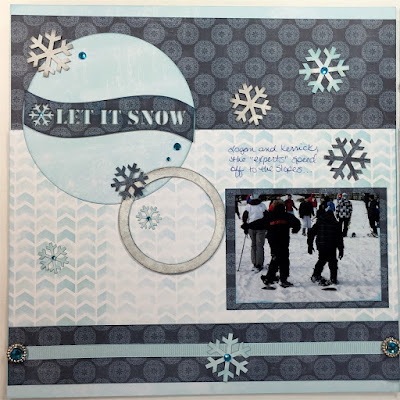 Here are some close ups of the variety of beautiful snowflakes found in this month's Club Q. Thanks so much for stopping by! 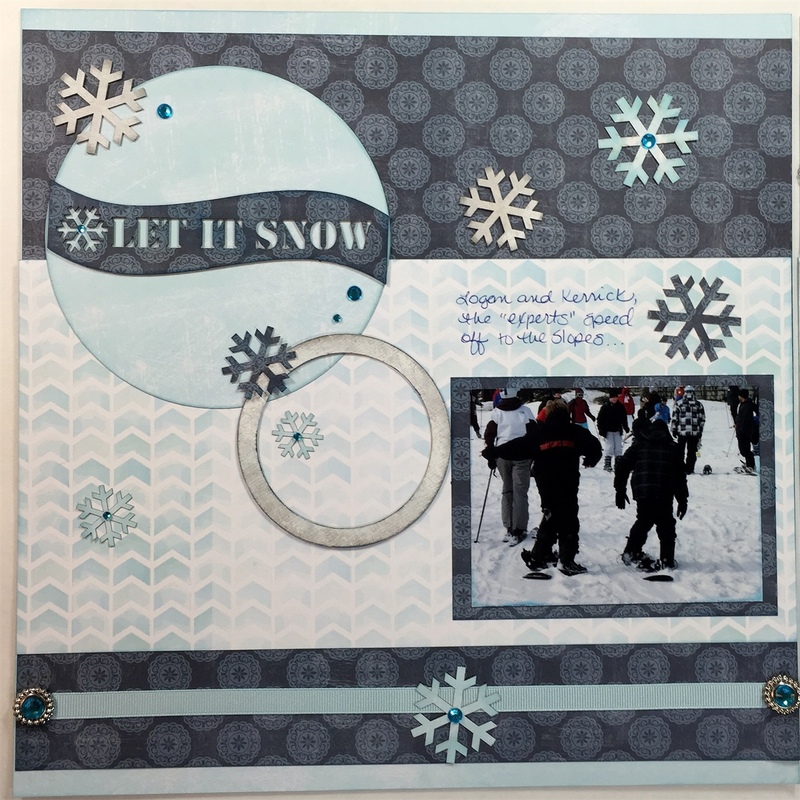 I also created a fun mini album using the January Club Q that you can see here. Really nice layout and the ink choices are perfect.